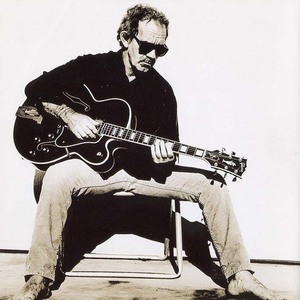 J.J. Cale (born John Weldon Cale on December 5, 1938, in Oklahoma City, USA) is a Grammy Award-winning American singer-songwriter and musician. Cale is one of the originators of the Tulsa Sound, a loose genre drawing on blues, rockabilly, country, and jazz influences. He continues to be best-known for writing two songs that Eric "Slowhand" Clapton made famous: "After Midnight" and "Cocaine." Cale released his first single in 1958, although it was not until 1972 that his first album, Naturally, was released. Cale released his first single in 1958, although it was not until 1972 that his first album, Naturally, was released. Since then Cale's songs have been covered by many artists, from Lynyrd Skynyrd and Widespread Panic to even Larry Carlton. Cale has a reputation for being quietly reclusive and for intentionally avoiding the spotlight, although he does have a diehard following and many admirers in the music industry. He is one of many artists that play the Tulsa Sound that Cale, along with Clapton, George Harrison, Delaney Bramlett, Leon Russell, Hoyt Axton and Neil Young, helped create in the late 60s. Clapton was quoted in '04 as saying "If I could be another musician I would be J.J. Cale". Cale's musical style can be identified as a "laid back" country-jazz blues. The best description would be a "recliner groove", as the tempo, guitar, bass and piano simply lends itself to a foot-tapping and gentle rolling feel. Cale released his most recent studio album, Roll On, in the spring of 2009, while his previous release, The Road To Escondido, was recorded together with Eric Clapton and won a Grammy for Best Contemporary Blues Album.